Royalty-free stock illustration of a blonde woman standing as she drinks water to stay hydrated after an intense workout. Royalty-free stock illustration of a brown-haired woman pouring a protein shake drink in a glass. 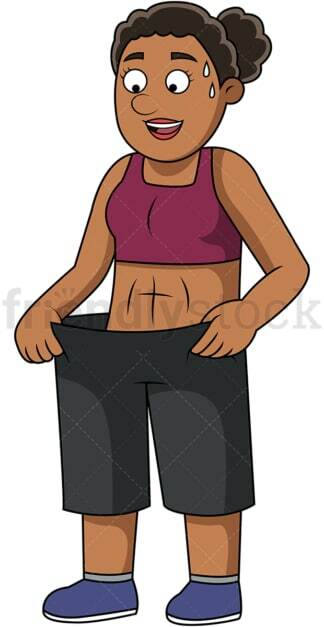 Royalty-free stock illustration of an African-American woman fitting in her old fat pants and looking satisfied with how much weight she has lost. Royalty-free stock illustration of a fit woman taking a selfie with her mobile phone. 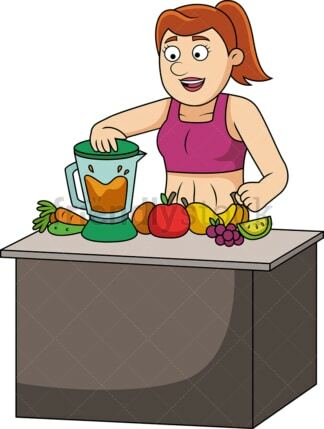 Royalty-free stock illustration of a fit and healthy woman preparing a smoothie with fruits and vegetables. 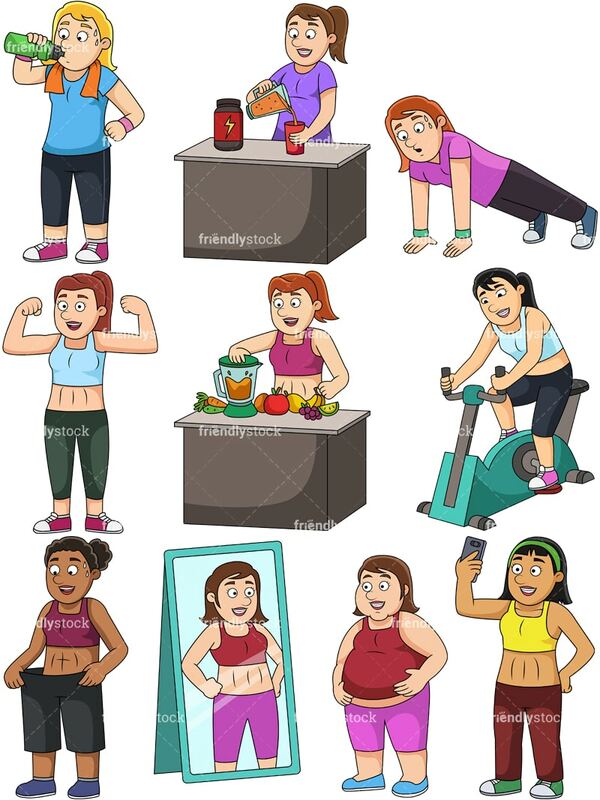 Royalty-free stock illustration of an overweight woman staring at her reflection in the mirror and imagining herself thin and fit. 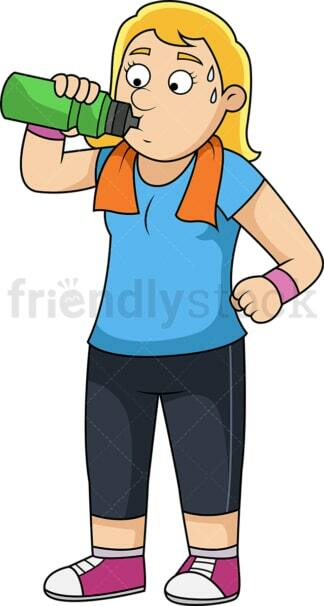 Royalty-free stock illustration of a woman doing pushups and sweating. 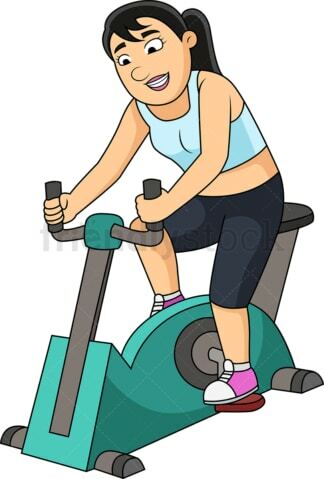 Royalty-free stock illustration of a woman working out with a stationary bike. Royalty-free stock illustration of a fit woman smiling as she flexes her muscles.